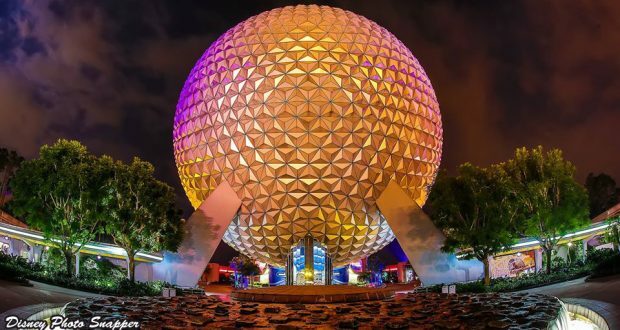 For those of you in the Walt Disney World area for the next few days, you will want to be mindful of a schedule change for Spaceship Earth. The attraction will be closing at 8 PM starting on Monday, October 1st through Thursday, October 4th, 2018. This change is due to routine maintenance that is scheduled to occur during this time frame. The attraction was typically open until park closing, so this as an early closing on these dates for the attraction. The attraction is currently expected to resume normal operating hours starting on Friday, October 5th, 2018. If you have FastPass+ selections for Spaceship Earth after 8 PM on these dates, then another time selection for the FastPass+ will be offered so that guests can still FastPass the attraction. If none of the time options work, guests will be able to select a different attraction to use the FastPass+ selection on. Spaceship Earth is a popular ride found within the Future World area of Epcot. You get to learn about the dawn of education, learning and technology and a trip into space. It is a classic attraction for the park and fun for the entire family. Who else always rides Spaceship Earth when visiting Walt Disney World?